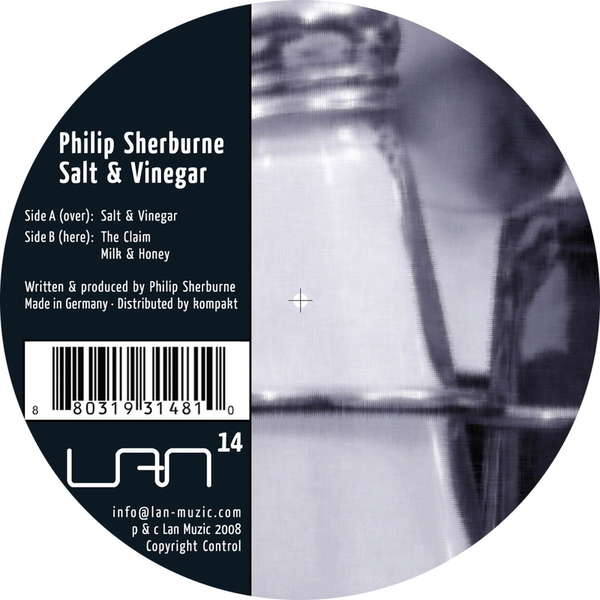 Highly respected blogger and dance music journo Philip Sherburne offers up a full 12"s worth of his own productions for Berlin's LAN muzic label. The long cut A-side runs with the deep house infected zeitgeist with a shuffling Afro tinged tech house rhythm taking matters one way, before dropping a seedy synthline that veers the track off into darker club territory until the end. We much prefer the B-side cut 'The claim' with it's Carl Craig styled lead melody an funked elastic tech house rhythm similar to label mate Excercise One's previous efforts. Final track 'Milk and honey' offers a sweetened version of the A-side cut and polishes off a nicely accomplished twelve.